Congratulations on coding your cooperative game. I hope you and your friend had as much fun as we did. Hey, look at this bonus star. I know, more points, right? Today you learned how to use variables. Variables are a way for computers to store data that change. Computer scientists can use variables to help save the lives of endangered animals. In Amboseli National Park, Kenya, elephants are fit with GPS collars. These collars collect data about the elephant's location and roaming habits. That data is sent to computers and stored in variables. Using that information, the park can more effectively map out the space the elephants need. And place rangers around the park to protect the elephants from poachers. Elephants aren't the only endangered animals that GPS collars have helped. GPS collars have been used to track wolves in Yellowstone National Park, Cross River gorillas in Africa and tigers in Nepal. The collars provide information to help protect animals and to create a habitat where they can thrive. Conservationists and computer scientists team up to use variables and help protect endangered species. Next time at Google CS First we will create a company together. You and your friend will get to imagine and invent a product. 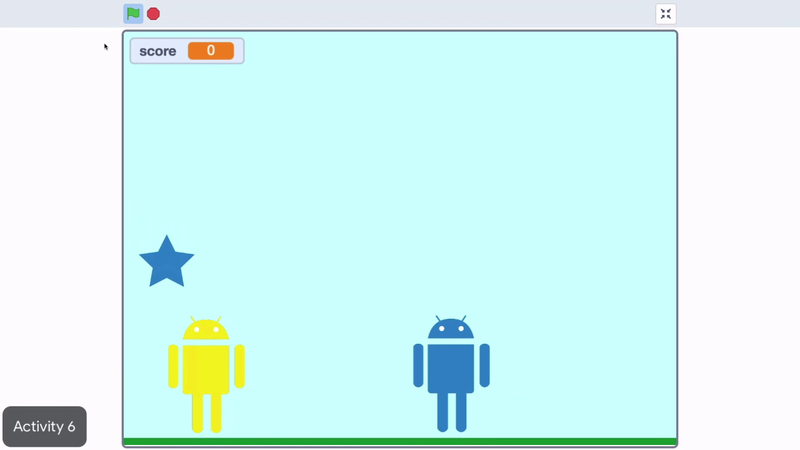 And create advertisements for your invention in Scratch. Until next time, have fun creating.